Before the rainy weather begins, BMW is working overtime to enjoy the benefits of a dry track to test the next generation X5 and upcoming X3 M at the Nurburgring. Caught on video by Automotive Mike, we can see the yet-to-be-revealed X5 doing some hot laps, while the prototype X3 M (beginning at the 0:25 mark) is looking even hotter. Under its hood is a turbocharged straight-six with around 425-430 hp. It’s related but not identical to the M3 and M4’s engine. Compared to the standard X3, the X3 M’s front end has a beefier appearance, like with all M cars. It’ll also feature unique LED headlights, a sculpted bumper, larger air curtains, flared wheel arches and a lowered stance. Out back is a set of quad tailpipes. If all goes to plan, the X3 M will launch sometime in 2018. An LA Auto Show reveal in November could also happen. 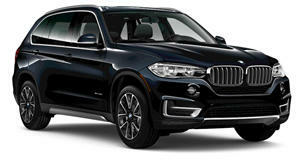 As for the next generation X5, it rides on the same overall platform as the 7 Series sedan. What’s good about this platform is the fact that it supports aluminum, carbon fiber, steel and magnesium construction – all of which are very beneficial when it comes to cutting back on weight. 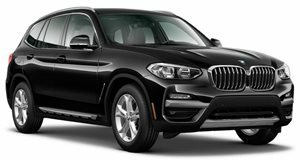 The lightest X5 currently on sale, the sDrive35i, already tips the scales at 4,475 pounds, so a diet plan was prescribed. Eventually, a plug-in hybrid X5 will come a few months after the standard X5 debuts, which will likely be in the middle of next year as an early 2019 model. 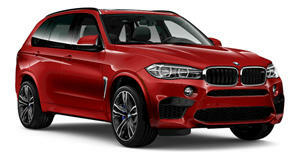 Further down the line we’ll see a new X5 M, which will boast more than 600 hp. In the meantime, the debut of the all-new, first ever BMW X7 is exactly one week away, and we’ll be on the showroom floor at Frankfurt to bring you all of the details and live images.